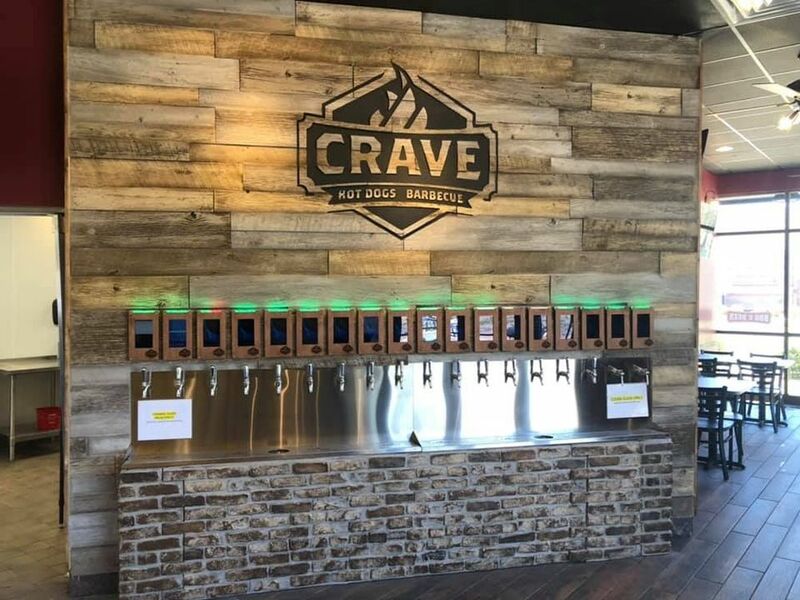 (RestaurantNews.com) Crave restaurants are fast casual BBQ restaurants that serve delicious BBQ sandwiches and Sliders, Hot Dogs, Brats and Sausages. You can build your own by adding an array of toppings coupled with some of their famous sides such as Mac n cheese, Chili or Slaw. Crave also features a Self-Serve beer wall, allowing the customers to choose from any of their 18 beers on Tap. With 4 domestic beers and the rest local craft, the possibilities are endless! Crave in Wilmington NC opened at the Pointe at Barclay, 1407 Barclay Pointe Blvd Building 4 unit 401 Wilmington, NC 28412, this past weekend on March 23rd. Customers flocked to the gorgeous outdoor patio with ample seating and a fire pit. The beer wall is scheduled to go live this weekend and franchisees Laura and Wayne Decker, along with their son who is acting General Manager Geoffrey, are prepared to serve the people of Wilmington some delicious BBQ and Beer. Crave was founded in 2018 by Salvatore and Samantha Rincione. The couple has spent their lives in the restaurant/franchising industry and wanted to create a fun and unique brand. Since its introduction last year, Crave has 14 planned locations to open with many more in their pipeline.